Bacon. Oreos. Bacon. Oreos. 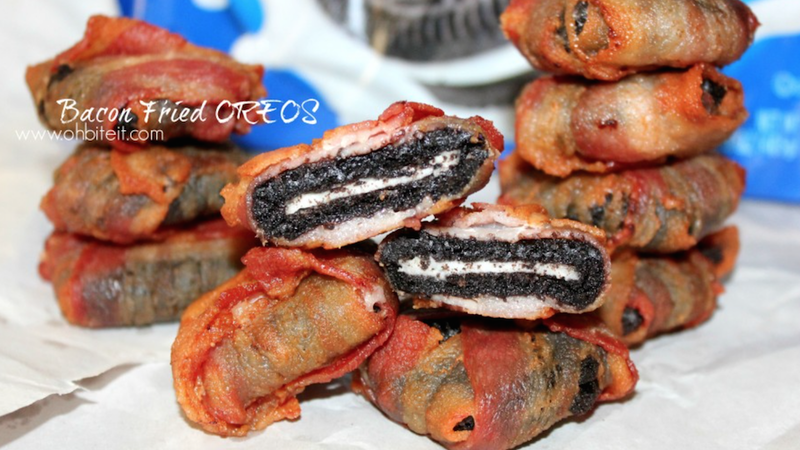 Say it with me now: bacon-fried Oreos! 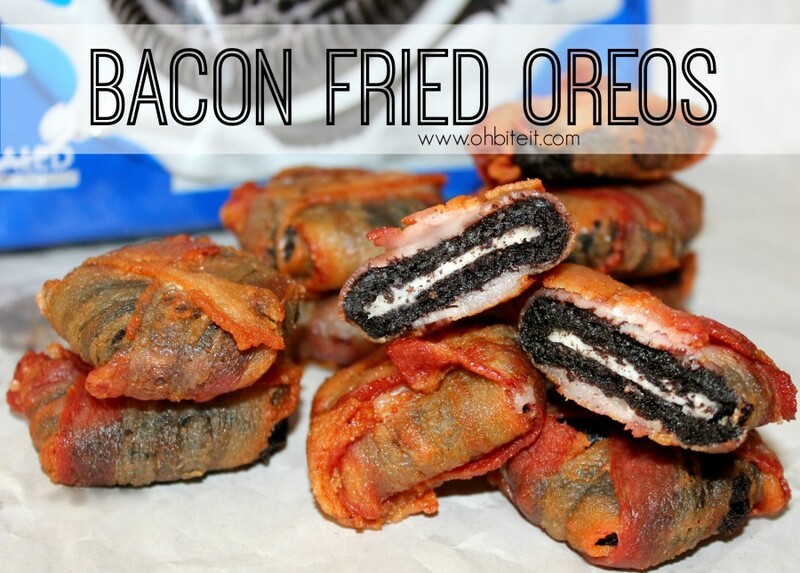 There are not a lot of times when I freak out about food (other than your normal I-am-excited-’cause-I-love-to-eat-all-day-every-day freak-out, that is), but when I see Oreos that are wrapped in bacon and then fried, my head spins in a way that makes my stomach wish I could reach my hand across the screen and grab one of these babies ASAP. I mean, look! One of our favorite food blogs, Oh, Bite It!, has seriously outdone herself with this new recipe. I’m one of those people who loves flavor combinations. Give me salty-and-sweet any day, and these bacon-fried Oreos really deliver on that promise. I don’t know about you, but I know exactly what I am doing this weekend: eating about 27,000 of these. Well, maybe not that many, but certainly an entire box worth of Oreos. In fact, I also know what I am bringing to my friend’s birthday next week, my friend’s bridal shower next month and my dad’s birthday in August. Everyone needs a signature dish, and I think I’ve just found mine.